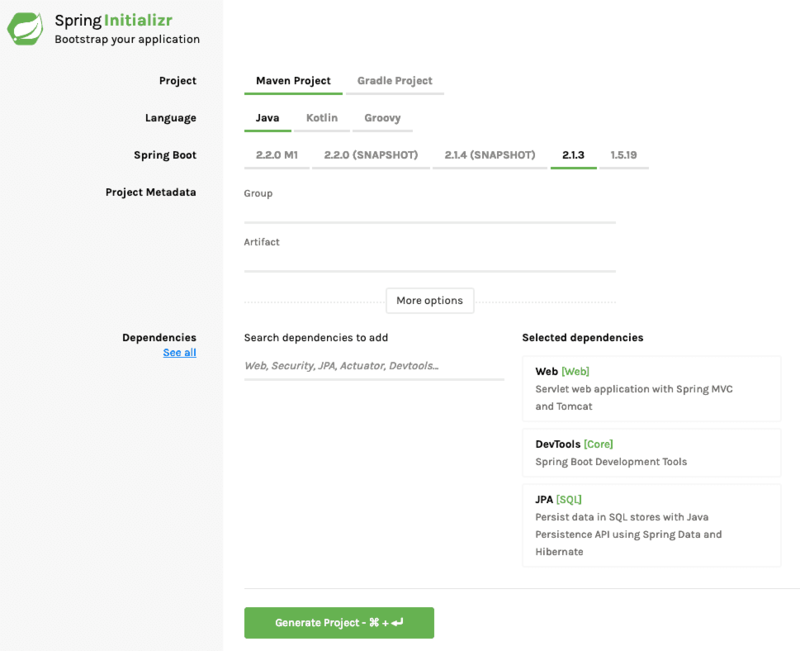 This guide will help you create a full stack application integrating Angular/React/Vue JS as frontend and using Spring Boot to create the backend REST API. How to import and run projects from git repository? Create videos based on full stack articles. We will and create a TODO***. In this guide, we will create TODO services. The REST API can be enhanced to interact with other microservices infrastructure components and act as microservices. 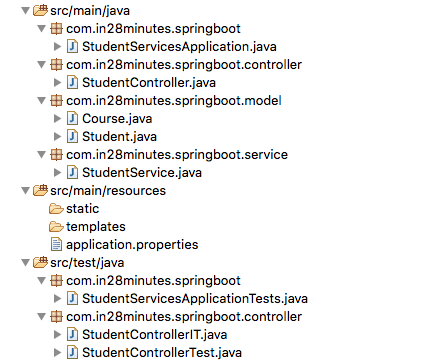 StudentController.java - Rest controller exposing all the three service methods discussed above. Course.java, Student.java, StudentService.java - Business Logic for the application. 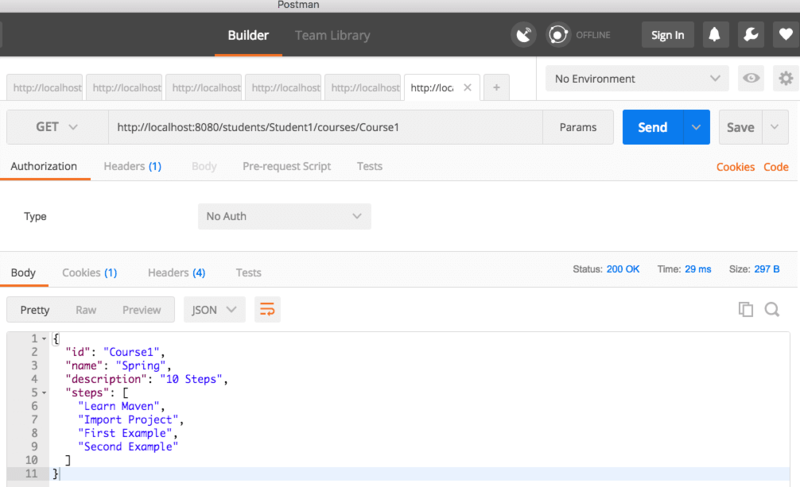 StudentService exposes a couple of methods we would consume from our Rest Controller. StudentControllerIT.java - Integration Tests for the Rest Services. StudentControllerTest.java - Unit Tests for the Rest Services. StudentServicesApplication.java - Launcher for the Spring Boot Application. To run the application, just launch this file as Java Application. If you want to understand all the files that are part of this project, you can go here TODO. Below picture shows how we can execute this Get Service from Postman - my favorite tool to run rest services. Example Request is shown below. Below picture shows how we can execute this Post Service from Postman - my favorite tool to run rest services. Make sure you go to the Body tab and select raw. Select JSON from the dropdown. Copy above request into body.